Welcome to the New Website for Associated Industries of Florida. The Voice of Florida Business! AIF lobbyists, representing centuries of accumulated experience in politics and government, spent more than 10,000 hours in the Capitol during the 2018 Legislative Session advocating for your business interests. President & CEO - Before joining AIF in 2011 as the President & CEO, Tom represented the 24th Congressional District of Florida for 6 years. He served in the Florida House of Representatives for 10 years, during which he was elected Speaker of the Florida House. In 1994, he was former Governor Jeb Bush’s running mate in his first race for governor. In addition to public office, Tom has also maintained a successful private law practice. He currently serves on the Board of Directors of several statewide organizations. Tom has a BA in Political Science from Penn State University and JD from the University of Pittsburgh. Senior Vice President of State and Federal Affairs - As the Senior Vice President of State and Federal Affairs, Brewster coordinates AIF’s lobbying team and all research and advocacy efforts in Tallahassee and Washington, D.C. Prior to joining AIF, he served as Senior Director of Legislative Affairs for the National Association of Builders & Contractors, was a former Presidential Appointee during the George W. Bush administration, and worked in Congress. Brewster received his BS in International Affairs from Florida State University. Partner in The Advocacy Group at Cardenas Partners and with over 13 years of legislative and campaign experience, Slater formerly served as the Director of Corporate Relations for the Office of Tourism, Trade & Economic Development, personal assistant and liaison to Governor Jeb Bush, and as Finance Director for House Speaker Daniel Webster. Slater received his BS in Political Science and Communications from the University of Iowa and a MBA of Applied American Policy and Politics from Florida State University. Director with The Advocacy Group at Cardenas Partners and with more than eight years of experience in legislative and political affairs, Sarah served as a Special Events Representative on the Inaugural Committee for Governor Charlie Crist and as former Deputy Finance Director for Senate President Tom Lee’s statewide campaign for Florida’s Chief Financial Officer. She is a graduate of Florida State University with a Bachelors Degree in Political Science. As Senior Partner in The Advocacy Group at Cardenas Partners, Al oversees the Governmental Affairs Practice in the Miami, Tallahassee and Washington, DC offices. He has over 33 years legislative experience, has served two terms as Chairman of the Republican Party of Florida, and was twice-named one of Washington, DC’s top lobbyists. He currently represents some of Florida’s largest corporate and governmental entities before the Florida Legislature. He is a graduate of Florida Atlantic University and the Seton Hall University School of Law. An attorney and governmental consultant with Floridian Partners, Jorge represents a variety of clients before the Florida Legislature. He served in the Executive Office of the Governor, the Florida Public Service Commission, the Florida Department of Environmental Protection, and several other state regulatory agencies . Jorge was also the Chief Advisor to the Chairman of the Florida Public Service Commission (PSC), the state agency which regulates Florida's utilities. He graduated with honors from the Florida State University College of Law and received his undergraduate degree in Finance from the University of Miami. 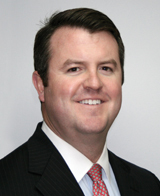 Director at The Advocacy Group at Cardenas Partners, Chris previously served as Legislative Affairs Director at Florida’s Agency for Health Care Administration (AHCA). In that role, Chrisy was AHCA’s chief lobbyist on all policy and appropriations issues before the legislature, including the licensure and regulation of all health care facilities in Florida, as well as operation of Florida’s Medicaid program. During his work AHCA, Chris also served the as Acting Chief of Staff to the Secretary, where he oversaw all legislative, communications, and external affairs. Founder and president of New Capitol IT, a governmental and business consulting firm specializing in the information technology industry, Chuck has spent over two decades in the information technology industry and held several executive-level positions in Florida. He is an expert in governmental procurement and IT business strategy and a trusted advisor to some of Florida’s most well-known and respected business and service organizations. He received his BS in Business Administration from the University of Southern Mississippi and his MBA from the American Graduate School of International Management. With extensive policy communications and public relations experience, Carlos was a legislative assistant for the President Pro-tempore of The Florida Senate in 1989 and was a member of Agriculture Commissioner Conner’s executive staff. He worked for various law firms creating and managing their state governmental and policy communications practice teams. In 1995, Carlos began his governmental relations company and has earned a reputation of being an informed advocate that creates consistent solutions for his strong client base. Carlos is an accomplished speaker and is frequently invited to educate executives and future policy makers on the process of government relations and policy communications. He received his BS in Public Administration from Florida International University, where he was a founding member of the Florida Nu Chapter of Sigma Phi Epsilon Fraternity, and earned a JD from the Florida State University College of Law. Managing partner of Floridian Partners, Charlie represents clients on matters related to business and professional regulation, education, pare-mutuels, taxation, health care, financial services, employment, environment, elections, communications and utilities, and information technology. He has over 22 years of legal and legislative experience, and is an honors graduate of Florida State College of Law, where he earned the distinction as a member of the law school's Moot Court team. Charlie is also co-author of The Law of Florida's Homeowners Associations. Director of Greenberg Traurig’s Tallahassee Governmental Affairs practice, Leslie’s state legislative practice spans over 24 years representing health and life insurers, investor-owned health care facilities, and assisted living facilities. Leslie formerly served as the Director of Government Affairs for the Florida Chamber of Commerce, and is well-versed in grassroots and campaign development techniques having previously served as AIF’s Chief Political Officer. Governmental Affairs consultant with Floridian Partners, Cory specializes in insurance, energy, utilities, financial services, agriculture, and general business issues. He has managed and overseen many political campaigns throughout the state, and served as the Chief Legislative Aide for Representative Seth McKeel and later, Representative Doug Holder. Cory served in high-level roles with the Republican Party during the 2012 and 2014 cycles, and most recently served as political liaison of House Campaigns under Speaker Steve Crisafulli. He is an honors graduate of Florida State University with a degree in Political Science. Attorney and lobbyist with Capital City Consulting, Ashley concentrates largely on insurance and business issues before the Florida Legislature. Prior to Capital City Consulting, she as the Legislative Affairs Director for CFO Jeff Atwater overseeing his Legislative, Cabinet, and Policy Offices. While at the Department of Financial Services, she led a team responsible for the successful passage of reforms to the laws governing insurance agents, agencies, and adjusters; insurer insolvency proceedings; state contracting; fire prevention and safety; unclaimed property distribution; and several workers’ compensation system reforms. Ashley is a graduate of Vanderbilt University and Florida State University’s College of Law. Co-Chair of Greenberg Traurig’s Insurance Regulatory and Transactions Practice Group, Fred has more than 25 years of experience representing the interests of insurers, reinsurers and a wide variety of other insurance-related entities on their regulatory, transactional, corporate and governmental affairs matters. He is experienced in transactional law, executive and legislative governmental affairs, administrative law, and corporate representation. 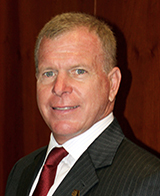 In addition to his role with Greenberg Traurig, Fred has been an Adjunct Professor of Law at Florida State University College of Law since 2008, where he teaches a course on Insurance Law and Risk Management. Fred is also a Florida Supreme Court Certified Mediator. Associate with Floridian Partners. Melissa has been lobbying in Florida for the past 17 years and Georgia as well for the past 5 years. She joined Floridian Partners in 2018 after serving as Vice President for Florida Retail Federation and Georgia Retailers. Before retail she served as Director of Government Affairs for the March of Dimes, Legislative Affairs Director for Department of Community Affairs and Executive Assistant to Congressman Ed Whitfield (KY) in DC. She is a graduate of Florida State University and is a Board of Trustee at the Florida House in DC. With two decades of experience working in and around the Florida Legislature, Steve provides strategic advice to a number of clients for The Advocacy Group at Cardenas Partners. He was the Communications Director for the House Democratic Caucus, and longtime aide to former House Democratic Leader Doug Wiles (D-St. Augustine), and from 2005-2008, Steve ran the Florida Democratic Party’s House Democratic Caucus, during which Florida Democrats picked off nine Republican seats in the state house. Widely quoted in national media as a top expert on Florida, the St. Petersburg Times has called him “one of the savviest and most effective political strategists Florida Democrats have seen in ages.” In 2008, he was named one of Florida’s “100 Movers and Shakers” by Florida International Magazine, one of the most influential Democrats in Florida by Politics Magazine in 2009 and 2013, and the most influential Florida Democratic strategist in Florida by the Tampa Bay Times in 2012. Partner with The Advocacy Group at Cardenas Partners and with over 13 years legislative and campaign experience, Stephen is the former aide to House Speaker Tom Feeney and Majority Office Liaison to House Majority Leader Mike Fasano. He served as Executive Director of Political Affairs for the Republican Party of Florida, and has represented some of Florida’s largest corporate and governmental agencies before the Florida Legislature. Stephen is a graduate of Florida State University with a degree in Business and English. Owner of Magnolia Strategies, a governmental and campaign consulting firm, Jim has 15 years of policy, legislative and campaign experience. He formerly worked with the Florida Department of Agriculture and Consumer Services’ Office of Agriculture Water Policy and as Environmental Policy and served as the Government Affairs Director for the Florida Nursery, Growers and Landscape Association. During his career, Jim has spearheaded the development of political grassroots campaigns for his clients in a range of areas including: appropriations, agricultural, water and environmental policy; sales and use tax; property rights, and transportation issues. Jim received his Bachelors of Science degree from the University of Florida. Founding member of Capital City Consulting, Gerald is widely held as the foremost expert in insurance, healthcare and financial services issues in the state of Florida. For over 35 years, government leaders have relied on Gerald’s knowledge and experience to navigate the extremely complicated and diverse regulation of the Florida insurance industry. His clients are among the largest insurers and the most politically powerful business and insurance associations in Florida and nationally. Their long standing relationships with Gerald are a testament to his extensive knowledge and leadership in the political arena. Gerald graduated from Florida State University with a BS in Accounting and a MBA in Public Administration. Director at the Advocacy Group at Cardenas Partners, Jeff previously served as the policy director for Governor Ron DeSantis’ campaign. Jeff also served the state of Florida for nearly ten years, including as special counsel and policy advisor to Chief Financial Officer Jimmy Patronis, the executive director for the 2017-18 Florida Constitution Revision Commission (CRC), and policy director and deputy chief of staff for Governor Rick Scott. Jeff was also the deputy secretary for the Department of Business and Professional Regulation (DBPR). He is a graduate of the University of Florida and Florida Coastal School of Law.